Michele J. Sison, Deputy Permanent Representative of the United States to the United Nations, told an IPI audience that as societies attempt to come to terms with a legacy of past abuses, their transitional justice processes must focus on the victims, not just the perpetrators. No single individual has been credited with leading the Arab Spring. In fact, many have lamented that—in contrast to revolutions elsewhere—intellectuals and literary figures were conspicuously absent in the uprisings that began in Tunisia and spread across the region. Ending impunity and promoting justice and reconciliation reflect core objectives underpinning the African Union. 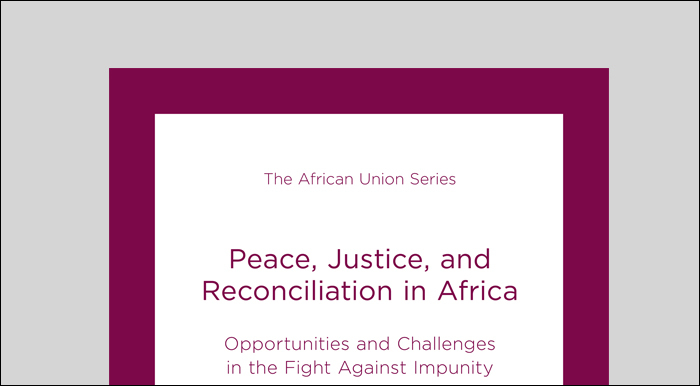 Amid renewed debate about justice and peace on the African continent, this report investigates the issue of impunity and its relationship with peace, justice, reconciliation, and healing. “I follow evidence. I’m a criminal prosecutor, I’m not a political analyst,” Luis Moreno-Ocampo, Chief Prosecutor of the International Criminal Court (ICC), told an IPI policy forum on January 20, 2012.